We’ve been relishing the Hong Kong dining scene for years. 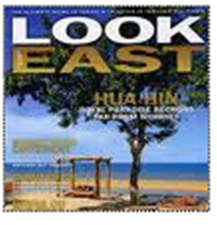 It’s full of great old-time favorites, like the Upper House, Hutong, The China Club, Tim’s Kitchen and The Chairman. But there’s also lots of great new restaurants surprising us on every visit. Here are our new favourite, best restaurants in the last year. 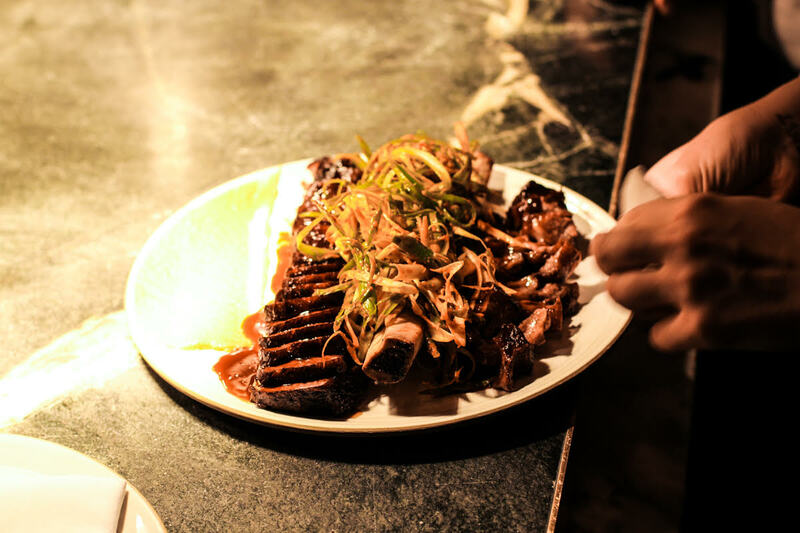 Ho Lee Fuk Self described as a “funky Chinese kitchen,” Taiwanese Chef Jowett Yu reinvents the classics with modern ingredients and techinques – must have dishes which best represent this ethos are the Wagyu Short Ribs and the Kurobuta Pork Char-Siu. And while the food is exemplary, what also keeps us coming back is the high energy atmosphere with campy, ironic decorating touches like a wall of paw-waving lucky cats and mahjong tiled nooks. A must visit restaurant when in Hong Kong! Note: no reservations for parties of fewer than 5. And because this place rocks and people know it, there is generally a cue. Chino Leave it to the Japanese to make one of my favourite cuisines – Mexican – even better! Not many things about the concept of Chino make sense – Mexican street-style food inspired and uplifted by Japanese ingredients and techniques and served with chopsticks. But once you taste the food, you won’t really care – it’s just damn good. 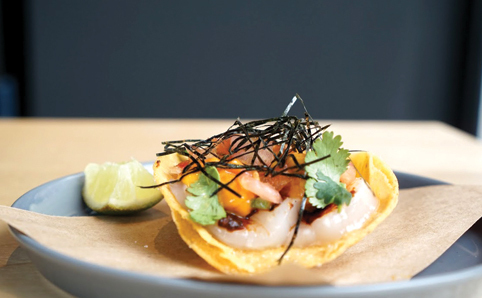 I didn’t think Mexican food could get any better, but when scallop and uni meet the tostada, it’s divine – sweet uni and raw scallop are seasoned with red miso, salsa and nori and adorn a crispy tostada. This dish probably best embodies the complexity of the fusion – unimaginable flavour combinations that sing in the mouth. Everything, in typical Japanese style, is focused around the best possible, freshest quality ingredients, but it’s served up in a casual, street-style way that keeps it from feeling precious. Atelier Vivanda Acclaimed Michelin Two-Star French Chef Akrame Benallal, brings the Parisien Atelier Vivanda to Hong Kong, taking “meat and potatoes” to a whole other level. It a a simple, modern and slightly industrial butcher style setting, where a concise menu with a clear focus on ingredients and quality is elegantly presented. 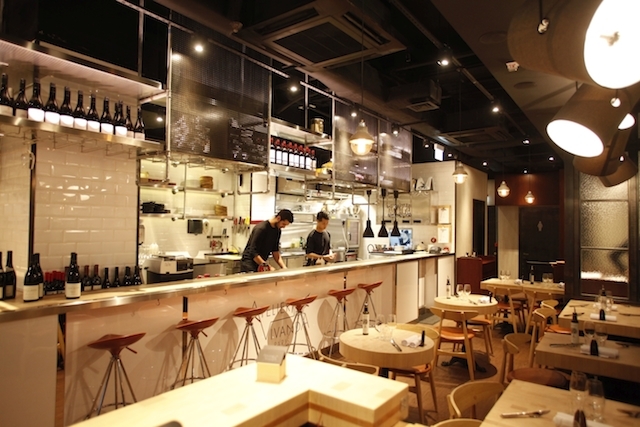 The formula is simple: for $448 HKD for an entrée, a meat and side dish and a dessert. We ordered the Flank Steak which was simple perfection, slight char on the outside and pink, juicy and tender on the inside. And the parade of potatoes was incredible – a Flawless Potato Puree, Pomme Dauphines (fried potato balls) and Gratin Dauphinois (thinly sliced potatoes and onions baked in butter and cream). While it is all about the meat, steakhouse seems too coarse a description for such culinary excellence of expression. BEP Cool but casual and unfussy, Bep brings classic Vietnamese to Soho at a surprisingly wallet friendly price. 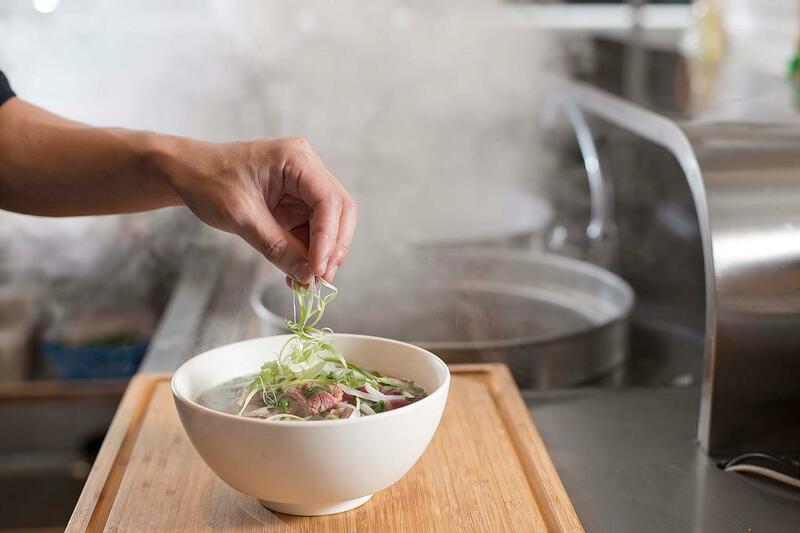 Like the best Vietnamese food in Hanoi, the focus is on super fresh ingredients that are alive with flavour. We haven’t had Vietnamese food this good and this authentic since…well…when we were last in Vietnam. We highly recommend coming with a group so you can try as many dishes as possible, including the slow-simmered Pho, the uber-fresh Bahn Mi sandwich, simple but perfect Chicken and Beef Satay, the crisp-tender roast suckling pig and the soft-shell crab spring roll with a pop of fresh mint and cool cucumber. Aberdeen Street Social Another Jason Atherton restaurant in Hong Kong. You think we would be fatigued by Atherton’s Asian expansion by now, but we just cannot get enough of his signature modern British cuisine. 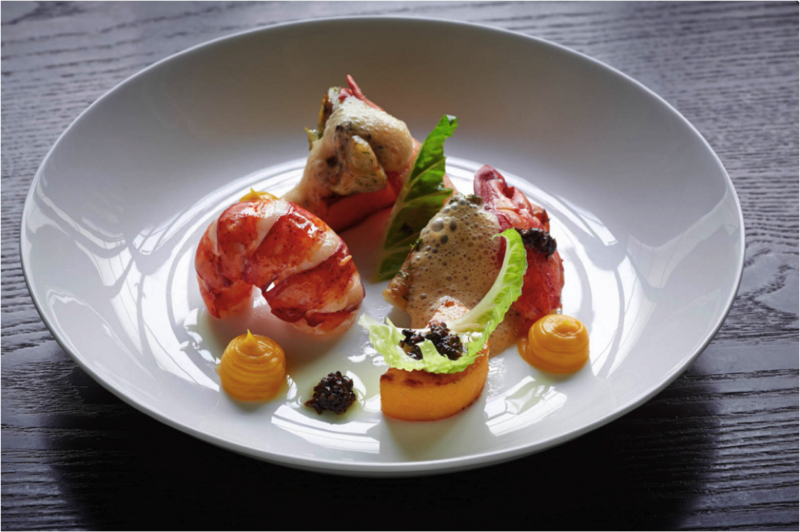 At Aberdeen Street Social, located at the new PMQ art and shopping complex, he continues to present consistently meticulously executed, highly fussed over food with nary a detail forgotten, but in a cosy casual environment devoid of any pretension. We loved the Butter Poached Lobster with Vanilla & Orange Butternut Squash, Fennel and Black Truffle Dressing as well as the Wagyu Beef with Roasted Bone Marrow, Sourdough Crumbs, Pickled Shitake Puree and Triple Cooked Potato. We also couldn’t resist Atherton’s take on mac and cheese, with beef cheeks which were melt-in your mouth good.